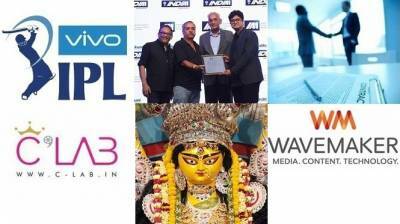 The week (September 4-9, 2017) ended on a triumphant note for the winners of the third IndIAA Awards 2017, held in Mumbai yesterday (September 8). Among the winners are some of India’s biggest corporate & media houses and brands – Hindustan Unilever, Nestle, Samsung, Vodafone, Star Plus and more. But the biggest news that dominated the media and advertising space this week was Star India bagging the global media rights – broadcast and digital – for the Indian Premier League (IPL) for the next five years (2018-2022). The media conglomerate shelled out Rs 16,347.50 crore to acquire the rights, making IPL one of the costliest sports properties. In the meantime, Sony Pictures Networks India had bid an amount of Rs 11,050 crore for the India sub-continent TV rights. This week, Adgully explored the strategies that ad agencies and their clients need to follow to build successful and long-term relationships. The two-part feature report has Ashish Bhasin, Naresh Gupta, Sabah Iqbal, Joemon Thaliath, and Dhunji Wadia providing some interesting and deep insights on forming bonds that endure, the red flags to watch out for, how to resolve differences that can emerge between clients and agencies, as well as planning for the long term. The new billion-dollar revenue, media, content and technology agency to be created from the merger of MEC and Maxus has been named ‘Wavemaker’. The brand mark, Wavemaker, reflects the agency’s heritage, born from WPP and GroupM. The brand, along with a new visual identity, will go live locally as the merger completes in each country, to be finalised by January 2018. The Ministry of Information & Broadcasting (MIB) has directed BARC India to stop generating ratings of those channels that use landing pages to boost viewership. Pankaj Krishna, Founder & CEO, Chrome Data Analytics & Media, sheds more light on the use of landing pages and whether they are really as bad as they are made out to be. With the festive season upon us, market sentiment is picking up following a good monsoon. Post demonetisation and GST rollout, things have started to settle down and the industry is expecting an increase of about 15-20 per cent in festive season ad spends this year, compared to 2016. Dentsu Aegis Network expanded its footprint into celebrity endorsement and sports marketing with the launch of CLab, which intends to bring in a differentiated approach into the field of celebrity endorsements that is intelligent and is supported through substantiated understanding of the industry. Publicis India beefed up its strategy team with the appointments of Nisha Ganneri and Gursimran Singh as Associate Vice President, Strategy and Vice President – Strategy. Both the appointees will report to Sudeep Gohil - Chief Strategy Officer & Managing Partner. Creativeland Asia brought on board Kunal Chakravarty as Branch Head - Mumbai. In his new role, Chakravarty will lead the Mumbai operations and spearhead new business development while keeping the Creativeland Culture intact. He joins in from Contract India, where he was Senior Vice President. FCB Ulka bagged the creative mandate for Tata Docomo Business Services. As part of the mandate, the agency will service the Enterprise Business (Tata Docomo Business Services) for the brand. Star India’s gamble of rebranding Life OK as Star Bharat has paid off. While Life OK was placed tenth in Week 34 as per BARC ratings for Week 35 (August 26 – September 1) [HSM (U+R) : NCCS All : 2+ Individuals], the channel in its Star Bharat avatar gained five places to claim the fifth spot. The channel garnered a gross viewership of 519,743, a jump from 328,571 secured as Life OK.